Mr Churro is one of the latest additions to Midvalley's fleet of snack kiosk. 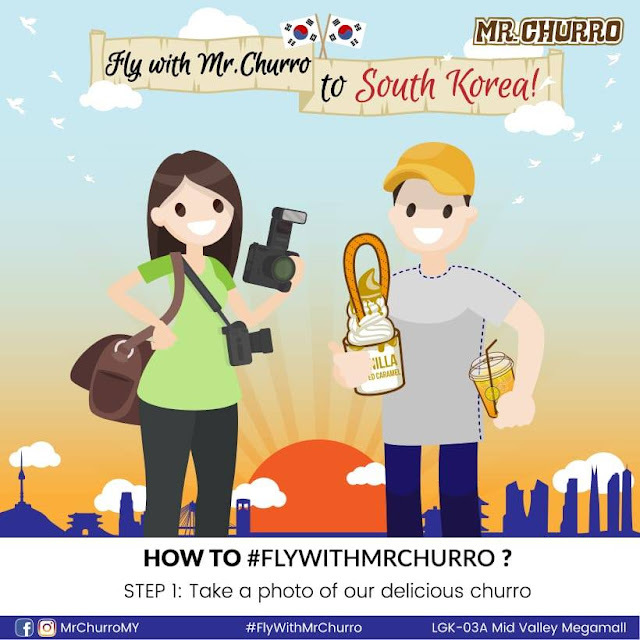 Roughly a few months old, Mr Churro aims to bring one of Korea's most popular churro brand to our fellow Malaysians. 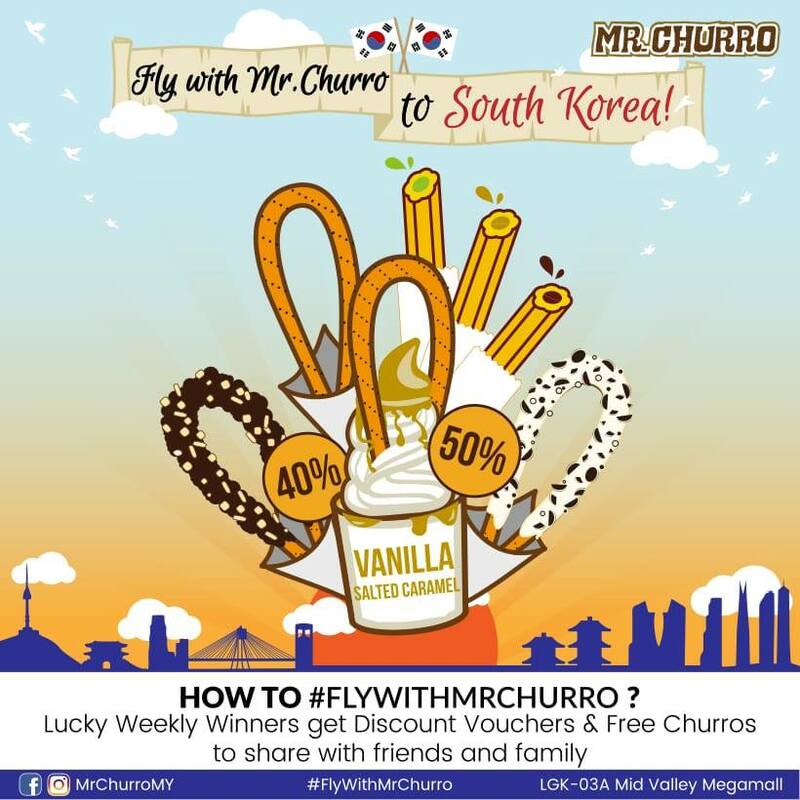 Starting with one of my favourite items on the menu, the ice cream churro. Unfortunately, the green tea variant was out of stock during my visit, so I opted for the classic vanilla instead. Beautifully swirled softserve ice cream topped with homemade salted caramel sauce and a cinnamon churro! Now what better way to enjoy a warm & chewy churro if it isn't with some icy cold ice cream? 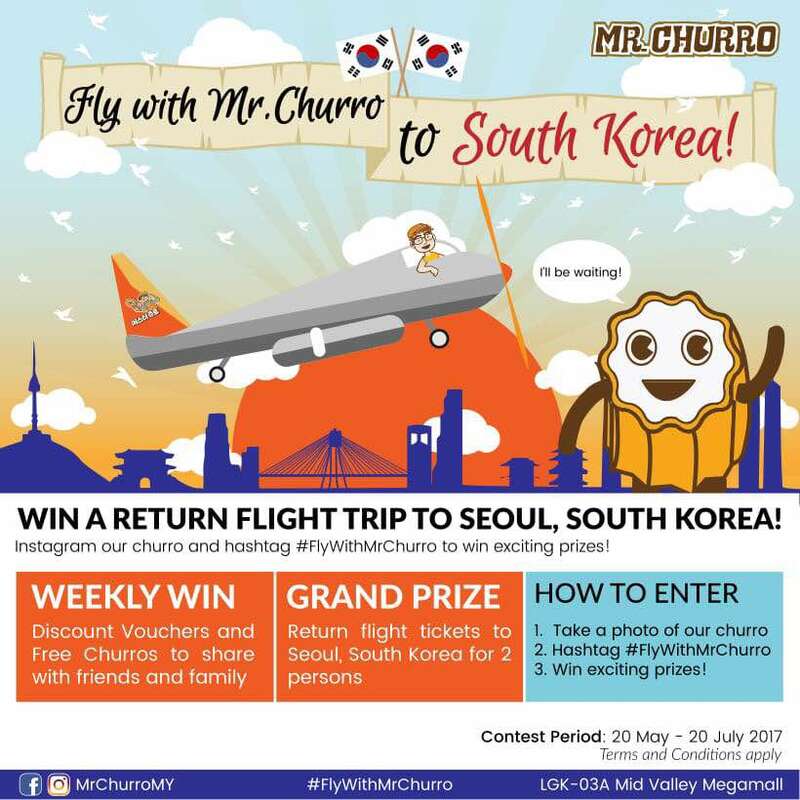 Personally, the churro texture differs from other brands. It is a lot denser and chewier, giving it a whole lot more bite & crunch. It's also more filling, which makes it a pretty solid order. Next up, their own rendition of Nutella. 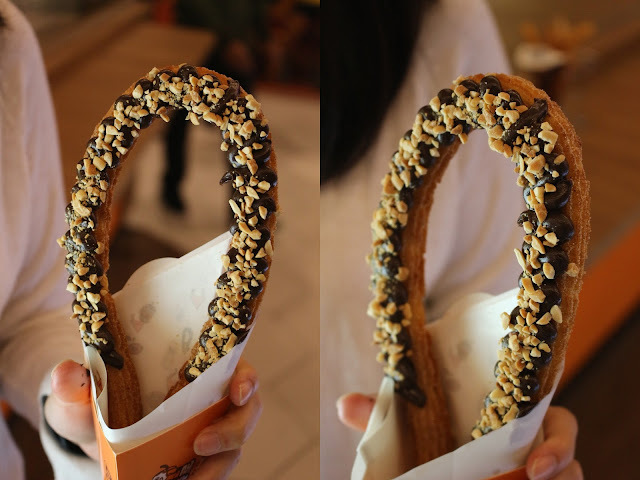 The chocolate-hazelnut sauce is homemade, topped with extra crushed peanuts on a perfectly fried churros. This is also one of the most popular orders, and their homemade Nutella is pretty good as well. Definitely a must-order for all chocolate lovers! Of course, you can't miss out on the original. This one here is nicely cut up into bite size pieces, where you can dip it in any 3 of their homemade dips - Salted Caramel, Strawberry & Nutella. Personally, I loved the salted caramel as it had that nice balance between sweet & salty. The chewiness of the churros was also complimented nicely by their thick and gooey salted caramel! I would highly recommend anyone who has a thing for salted caramel to go for it! 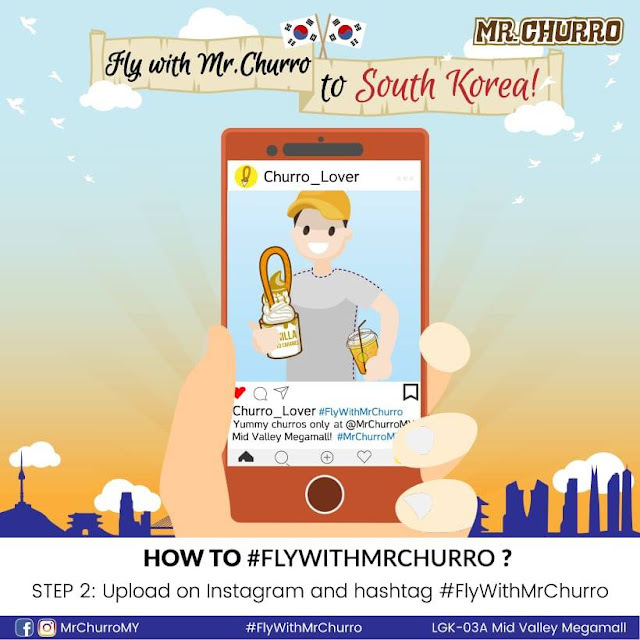 Apart from churros, they also have 3 rather unique beverage. One of which I did not order - Mango Mojito (non-alcoholic). Those who knows about Butterbeer from Harry Potter will be pleased that they've incorporated it into a tea - the Butterscotch Tea. It had a really pleasant scent, and an addictive balance of sweet & savoury. I'd highly recommended that. For something a little more refreshing, the Apple Limeade works great. Definitely do give them a try, but I'll personally suggest the Butterscotch Tea. So every churro is made fresh to order. Fried in a pool of surprisingly clean oil, and dusted in your favourite seasoning - Milo or Cinnamon. You could also opt for the plain. Overall, Mr Churro is definitely a place to visit if you're looking for a quick snack. It's located right in front of Nando's, so finding them is pretty easy. 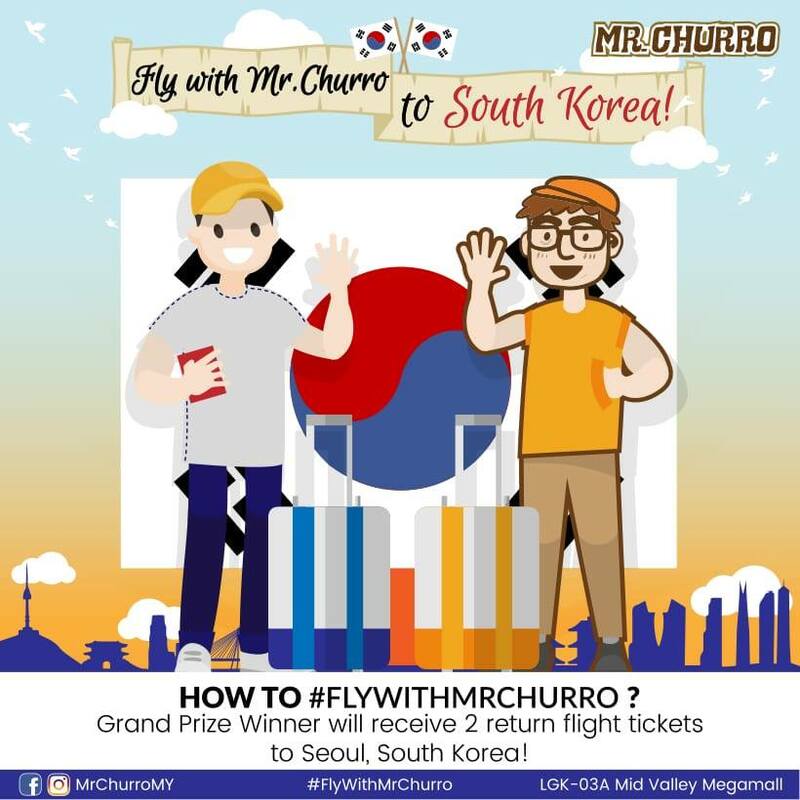 Oh, have I forgot to mention that they are giving away FREE RETURN FLIGHT to Seoul, South Korea? It's that simple! So get snapping today and stand a chance to win a FREE trip to Seoul today!